An adventurous journey into the crazy, zany world of cartooning! 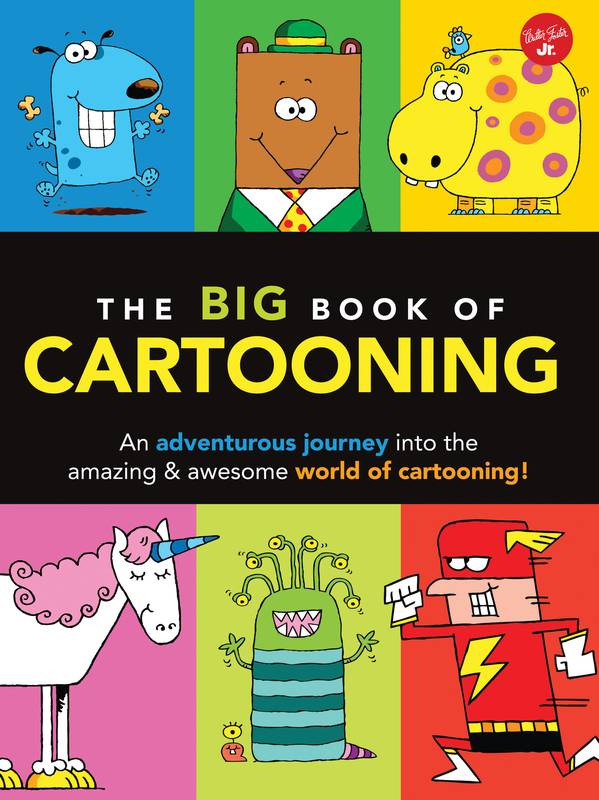 The Big Book of Cartooning features approachable, step-by-step instructions for creating a variety of silly, dynamic cartoon characters. Get started cartooning, and create a wide range of fun, wacky, and unique characters! The Big Book of Cartooning provides a comprehensive, colorful, and creative guide for young artists-in-training to creating a wide range of cartoon characters. Learn the basics of cartooning, including how to exaggerate features, draw silly expressions, and create over-the-top gestures, as well as how to draw a variety of animals and characters. 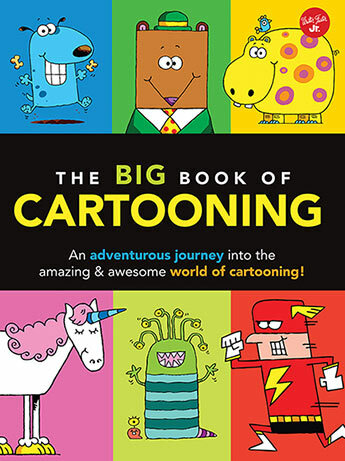 Featuring a variety of subjects, including quirky people and whimsical animals, as well as fantasy creatures, robots, and space aliens, The Big Book of Cartooning provides the essential techniques for drawing in true cartooning style. Each project starts with a simple shape, such as a circle or an oval, and then builds upon the previous steps toward a finished colored final. Tons of art tips are sprinkled throughout for a comprehensive learning experience, while an interactive format engages children for hours of creative fun.